Brass wire cuff bracelet, lightly hammered and a patina added to darken the metal slightly. 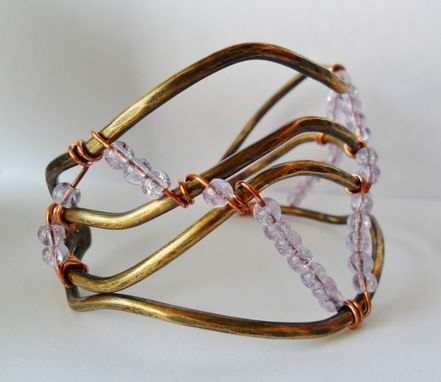 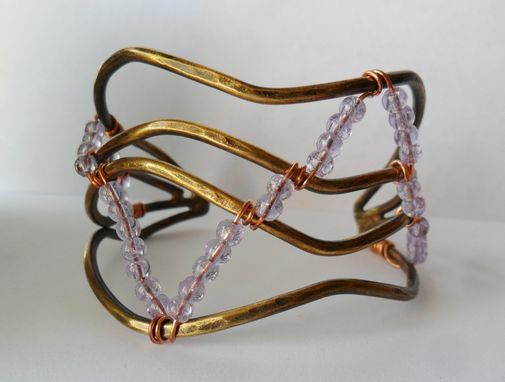 Wave design to the wire and adorned with light lavender glass crackled beads on copper wire. 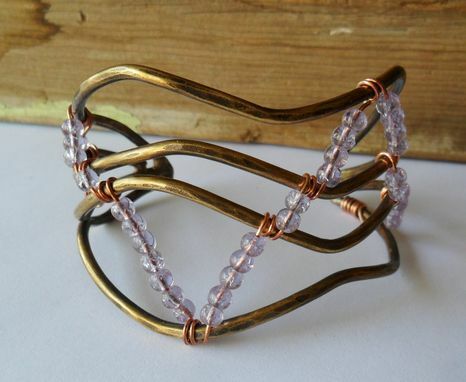 Lightly polished to a shine.